This fascinating book detailing the art of hitting a baseball or fast-pitch softball most successfully from each player's correct batting side is built on this scientifically convincing hypothesis: "For maximum batting success, right-eyed or right-eye dominant baseball and fast-pitch softball players should swing a bat left-handed; that is, from the left-handed batters box nearest first base. 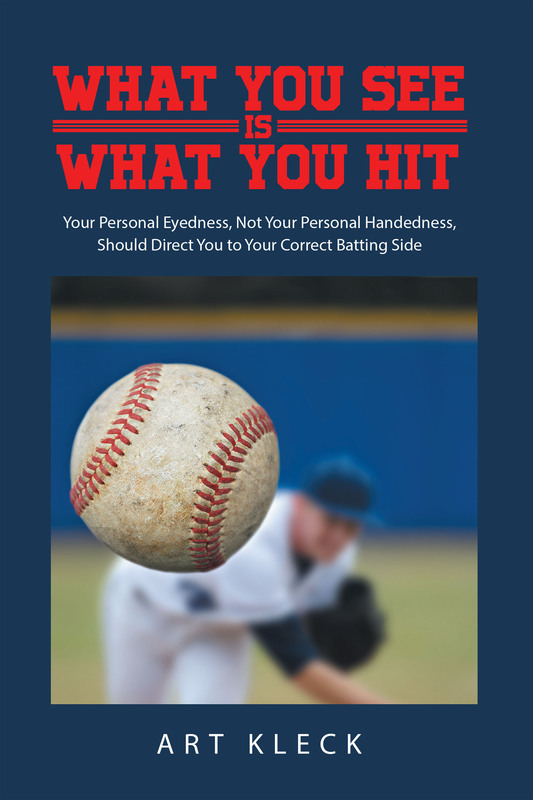 Likewise, for maximum batting success, left-eyed or left-eye dominant players should swing a bat right-handed; that is from the right-hand batter's box nearest third base." This means that most right-handed players should bat left-handed, and that most left-handed players should bat right-handed. Each player must be tested individually to determine each player's correct side. It really works! Yes, this will shake up the "baseball world." Most right-handers are right-eyed. When I talked with the fabulous Stan Musial in 1954 following his St. Louis Cardinal pregame batting practice and then gave him the eye dominance test, that you will find in inning 2, he then and there convinced me that I just must write this book. He shook my hand firmly and said, "Soldier, you've just got to write a book about this stuff. I now understand completely why I can't hit the ball when I try batting right-handed. Nobody knows about this stuff. Now be sure to write that book." Thank you, Stan Musial!